A bit of a transition for the blog today. To date this site has dealt solely with contemporary American picturebooks, the genre beginning with Wanda Gag's 1927 Millions Of Cats. Since there is little formal information readily available on the internet, I'm going to begin providing first edition identification points, discuss the book's collectibility along with estimated market value for Newbery Medal books. The Newbery Medal is the older sibling of the Caldecott Medal, originating sixteen years prior. Beginning in 1922 the Newbery Medal has been awarded annually by the ALA "to the author of the most distinguished contribution to American literature for children." The Newbery Medal is a writer's analog to an illustrator honored annually by the Caldecott Medal. Millions Of Cats, the aforementioned landmark picturebook, was considered so exceptional the American Library Association selected it as a Newbery Medal runner-up (now called a Newbery Honor award), a decade before establishing an award for the picturebook genre. Today's post is a summary of an internet search for the first editions of the first fifty Newbery Medal winning books. Similar to past searches for the first editions of Caldecott Medal books, the search is intended to determine the number of books currently being offered for sale, and calculate the average selling price. See the table summarizing the results below. The book's link is to the ABEBooks search for that title. Note that the search does not tick on the 'First Edition' or 'Dust Jacket' attribute on ABE's search, since these are notoriously unreliable. A simple search for the book's title sorted from high price to low, then each listing has to be manually read to ascertain first edition in a first edition DJ. The search was performed in early October 2012, so your current search results might differ somewhat. 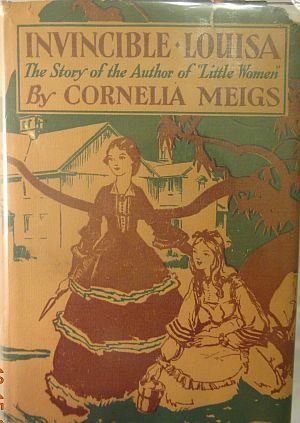 Similar to contemporary American picturebooks discussed on this site, the estimated market value and collectibility information are intended for first edition books in a first edition dust jacket. Not so surprisingly Madeline L'Engle's A Wrinkle In Time (1963 NM) is the most valuable Newbery Medal book found on the market, with five first editions copies ranging in price from $17,600 to $9,100. Four copies of Will James' Smoky (1927 NM) are on the market, with an average price of $5,775, one of which has slight restoration. First edition copies of both books are difficult to find, costly when found, and thereby missing from most private Newbery Medal collections. The budgets of many cannot afford the price of first edition copies. The one first edition copy of From The Mixed Up Files Of Mrs. Basil E. Frankweiler (NM 1969) is priced at $2,500, therefore the average price is the third most expensive Newbery Medal book on the market. I dunno if this price and scarcity are an aberration or the norm; I do know this book has now gotten my attention. Mrs. Frisby And The Rats Of Nimh (NM 1972) is another rather stubborn book to acquire. Six first edition copies are on the market, ranging from $2,500 to $500, with an average of nearly $1,200. The Don Bluth feature length cartoon has given the book a bit of public notoriety. Note: Caveat emptor. I have no affiliation to any bookseller, their offering(s), or to the sale of any particular book mentioned on this site. The prospective book buyer must perform their own due diligence concerning the actual book, its issue points, its condition, and the reliability of the bookseller. There is a passionate base of collectors for first edition Newbery Medal books. To help illustrate this passion, just have a look at the thoughtful dialogue on the various Mock Newbery blogs and websites dotting the landscape. As would be for any set of books, this passion varies, running from luke warm to very hot. I wouldn't classify the collectibility or demand for any of these first edition books as cold. Most if not all of these books are still in print. Since the Newbery Medal is awarded by the American Library Association – comprised of librarians who are the de facto managers of the school libraries – there is a self-fulfilling prophecy that the designated book will be read by a lot of school children. Similar to the ALA's Caldecott Award books, Newbery award books are ensured to be stocked at libraries and on the recommended read list of thousands of school teachers and librarians. I'm not going to comment on the relative literary merits of the Newbery Medal books on this site. One; I'm not qualified to make such commentary, and two; there are a multitude of others on the web who do so more proficiently and eloquently. However I will comment on the relative collectibility of first edition copies of Newbery Medal books. For American picturebooks I've created a set of factors which affect the book's collectibility (with 'first edition' and a book's condition being pre-requisites, rather than factors). For Newbery Medal books it shouldn't be too difficult to outline a similar set of factors. By definition, each Newbery Medal book has won an award. In the case of contemporary American children's literature, each book has won THE AWARD, which is a big positive for collectibility. A second consideration is the total number of copies sold, which is an indicator of whether children actually like the book, and of the book's ongoing popularity. With respect to value, the total number of copies sold should be considered in the context of the total number of copies in the first print run. The first print run of Newbery Medal books is relatively small, for the most part, compared to the total number of copies sold. This, coupled with decades of destructive attrition for the older Newbery's, is another big positive for collectibility. A third consideration is the long-term eminence of the author. Did they have other successful children's books? Did they have longevity in the business? Was the Newbery Medal book early or late in their publishing career, or the start of a franchise? For example, Will James noteriety, for better or worse, contributes positively to the collectibility of Smoky (NM 1927). Lastly, consider whether the book crossed over into pop culture. The pop culture aspect is frivolous when compared to the literary merits of the book, however does affect the overall awareness of the story, therefore impacts the potential demand for the first edition, thereby impacting the price. The Voyages Of Dr. Doolittle (NM 1923) has higher popularity due to the motion picture starring Rex Harrison, which does impact the price of first edition copies. 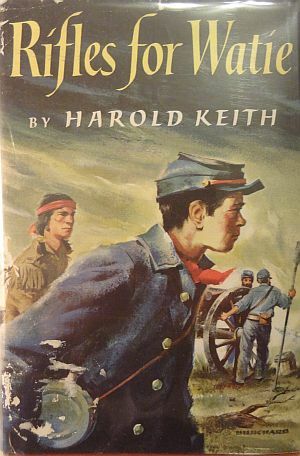 Of the fifty books surveyed, first edition copies of fourteen Newbery Medal winners are not currently offered for sale. Obviously the bookseller with one of these fourteen would have some significant pricing power. The first two Newbery Medal winning books are very difficult to find with their dust jackets. Of the two, the Story Of Mankind (NM 1922) is probably a little less scarce than Voyages Of Dr. Doolittle (NM 1923). The other Newbery Medal winners from the 1920's are extremely difficult to find. 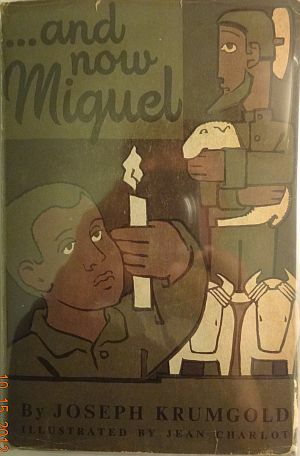 Note that the limited edition of Gayneck, The Story Of A Pigeon (NM 1928) is not so limited in the market. The limited edition was published in a print run of a 1000 copies AFTER the book won the Newbery Medal award. There are plenty of these limited editions on the market while there are no first edition copies available. As with most limited, signed, numbered editions, the attrition rate over time is dramatically less than those of regularly issued titles. Call It Courage (NM 1941) is especially difficult to find in first edition issue with a first edition dust jacket, as is Meindert DeJong's Wheel On The School (NM 1955). Wheel On The School has cross-collecting appeal since it has embellishments by a young Maurice Sendak. The Sendak books published prior to his popularity explosion in 1964 have much more collecting appeal than his later works, the demarcation event being of course the 1963 publication of his Where The Wild Things Are. There are six Newbery Medal winning books with only one copy on the market, and eleven books with only two first edition copies on the market. On the balance this skews heavily toward a seller's market for these seventeen titles, an example being the one first edition copy of From The Mixed Up Files Of Mrs. Basil E. Frankweiler (1968 NM) offered at a rather immodest $2,500. 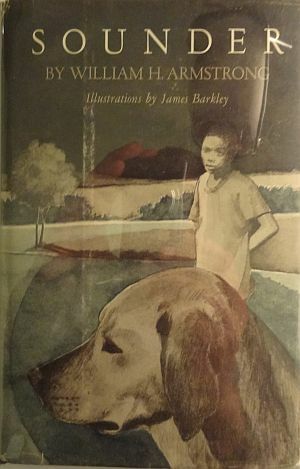 In total there are two or less first edition copies on the market for thirty-one of the first fifty Newbery Medal books. Looking at in from another perspective – wink! wink! – there are three or more available copies for nineteen of the first fifty Newbery Medal books. Three books were available in surprisingly large quantities. There were 15 first edition copies of Rabbit Hill (NM 1945), average price of $225, and Door In The Wall (NM 1950), average price $250, along with 14 copies of Julie Of The Wolves (NM 1973), average price $150. I don't know whether these survey results are typical since I haven't been consistently querying the market long enough for these first fifty Newbery Medal books. My focus has been primarily on first edition books absent from my Newbery Medal collection. I do have sufficient experience with American picturebooks to provide a 1-to-10 scarcity ranking without a high risk of making an embarrassing mistake. I am not so inclined for Newbery Medal books. The bookseller prices a first edition book according to the comparables on the market, auction and sales records, along with their experience in the business. On the other hand, the market value for a first edition book is the balance between the scarcity, or supply of the book, and its collectibility or demand. The bookseller prices the book, while the book collector values a book. As a collector, I must leverage my limited resource – the money budgeted to buy books – to purchase the most value with the least expense. In short, get the most bang for the buck. The book collector's perspective has a different time horizon than the bookseller. The bookseller has to price a book for the here and now, while the book collector has to decide whether a book should be bought now or in the future, since alternative opportunities exist. While assessing a book's collectibility, consider the contribution of the Newbery Medal with regard to other aspects impacting the book's desirablity. The Newbery Medal is certainly not superfluous to the book's collectibility – it is too prestigious an award – however the book has other strong merits. For example some of the books are sought after for 'the usual' reasons: the book's literary merits, overall popularity, author's eminence, copies sold, and so forth. On the other hand, some of the books are pursued in the collector's market due principally, perhaps solely, to the Newbery Medal accolade. This difference should impact the valuation. All the first edition Newbery Medal books are highly collectible. The fourteen books not found for sale are probably scarce. Time will tell. Take a thoughtful look at each of the one-sies and two-sies. I've never seen a 1st/1st copy of Call It Courage (NM 1941). Wheel On The School (NM 1955) will continue to be a 'tough get' due to cross-over appeal of Maurice Sendak illustrated. For four of the books, the author is better known as an illustrator than a writer: Daniel Boone (NM 1940) by James Daugherty; Rabbit Hill (NM 1945) by Robert Lawson; Strawberry Girl (NM 1946) by Lois Lenski; and Twenty-One Balloons (NM 1948) by William Pene Du Bois. All four books have high cross-over appeal with picturebook collectors. Notice there are numerous obscure titles among the Newbery Medal winners, books which don't yet have high awareness in the general bookselling market. This could be an opportunity for the astute book collector. I'll begin posting first edition identification points for Newbery Medal books in the near future.